The instrument rating is a challenging and somewhat daunting undertaking a professional or an experienced private pilot is ever likely to face. Now there is a real aid to help you throught the whole of the JAR Instrument Rating Flying Course. The instrument rating is a challenging and somewhat daunting undertaking a professional or an experienced private pilot is ever likely to face. Now there is a real aid to help you throught the whole of the JAR Instrument Rating Flying Course. 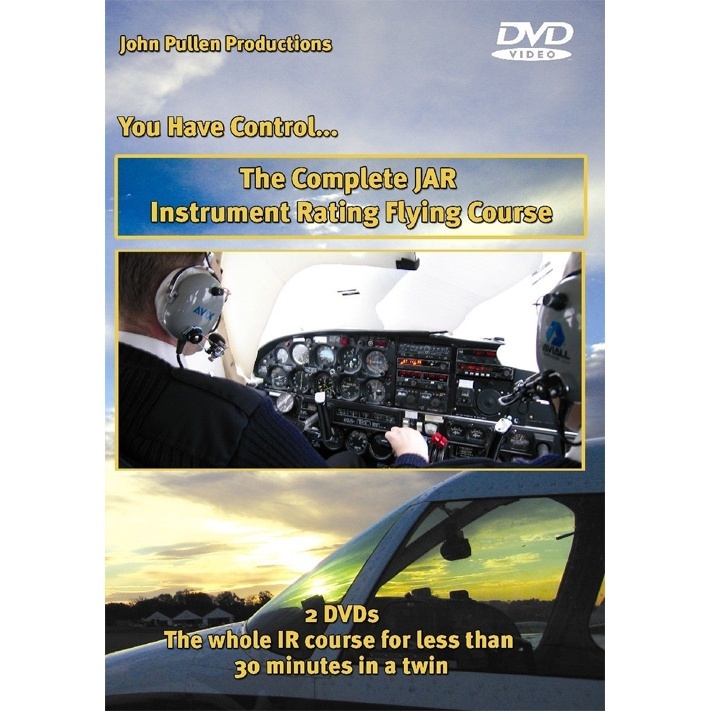 This 2 x DVD set contains 31 lessons using a twin engined aircraft or synthetic flight simulator just like the IR course to cover every aspect of the JAR Instrument Rating Flying Course. Throughout the DVDs, all the procedures are demonstrated by Boeing 767 pilot and CAA IR Examiner, Lee Hearn with the help of IR student Rob Bull. In addition, there is a text section of background knowledge listing the levels of accuracy required by the examiner for the IR Test as well as a comprehensive set of standard Radio Telephony procedures which you will be required to make. Filmed in High Definition, but playable on any DVD machine, this is an invaluable aid for all IR students as well as an advanced reference source for commercial and private pilots who want to understand exactly what is involved in the IR Course. An excellent and well produced DVD on a comlex subject, yet making each learning phase easy to understand and simplistic.